The word has certainly spread about what a great place Cedar Hills is to live! Cedar Hills is the perfect destination to access the picturesque mountains overlooking Utah Valley on one side and Heber Valley on the other. Located near the entrance to American Fork Canyon, Cedar Hills is the starting point for adventure and popular attractions such as Timpanogos Cave, Alpine Loop, and Tibble Fork Reservoir. 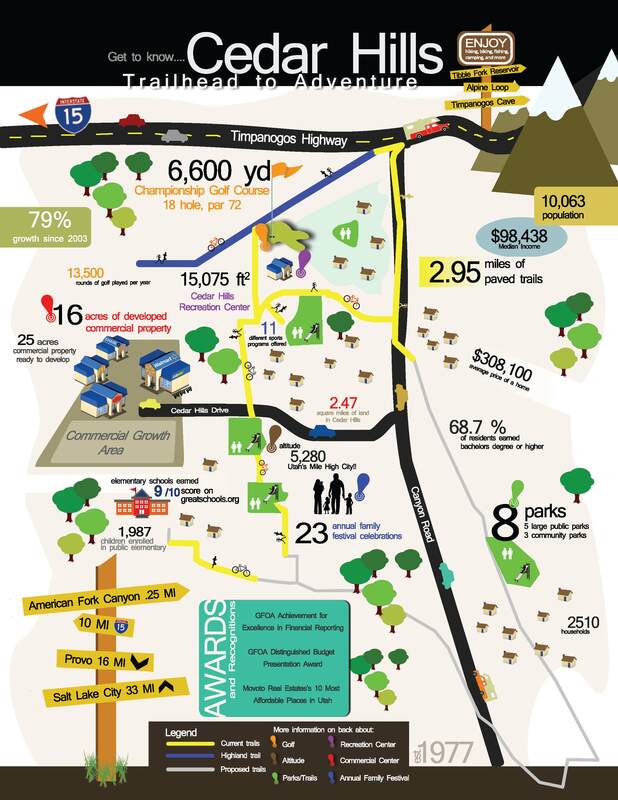 Residents enjoy close access to the canyon for hiking, fishing, camping, horseback riding, ATVing, and more. 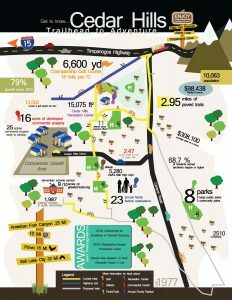 Cedar Hills is approximately 10 miles from Interstate-15, making it a great location to live for those who work in either Utah or Salt Lake counties. The city is 16 miles from Provo and 33 miles from Salt Lake City. Get to know Cedar Hills—the Trailhead to Adventure! View Infographic. A mayor and five council members are elected at-large for four-year, staggered terms.